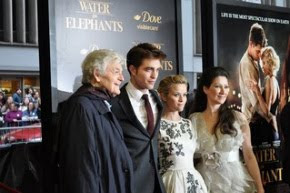 Robert Pattinson News Blog Contributor Cindy recently had the opportunity to do a one on one interview with Paul Darnell. In this exclusive interview, Paul talks about his passion for Parkour & Freerunning, his teammates and their new gym, and his experiences working with Rob on different sets. Read how this all came together in Cindy's words, and please credit and link back to us if you post on your blog/site. Last August when it was announced that “Water for Elephants” would be filming in the Chattanooga, TN area I knew this would be an opportunity of a lifetime to watch Hollywood magic at its best. I count myself lucky just to stand by and watch how hard the entire crew and talent worked to make a beautiful story become real. While I was at the base camp in Tennessee my friend Cheryl and I saw Paul Darnell, and it dawned on us what he was there for. 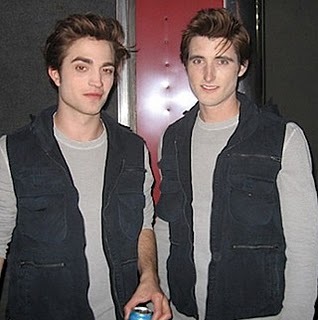 A lot of fans in the Twilight world know Paul as the stunt double in the original movie; he’s the guy who Robert Pattinson thanked at the MTV awards for the “Best Fight Award” that Rob won with Cam Gigandet. But there is so much more to Paul than being a stunt performer/double; he really does live an exciting life! I know you are really passionate about Parkour. Can you share your dream and vision about this with us? Parkour opened my eyes to a different way of viewing my world. 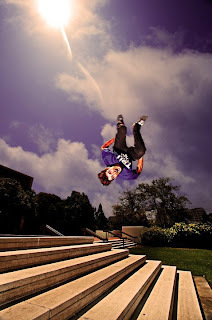 It led me into freerunning where I have been able to travel around the world, meet the most amazing people and do things with my body I never imaged. Parkour is the practice of efficient movement through your environment. Freerunning is the art of movement. Even though they are both very similar and originated from the same roots, freerunning focuses more on the creative side of movement. It allows you to express yourself through your movements. How did you first become interested in Parkour? I was a kid who enjoyed sports and all types of movement. I played basketball, baseball, and tennis throughout high school. 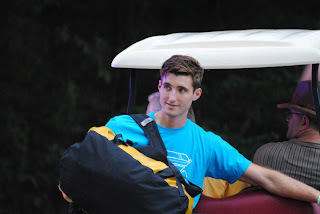 After team practices and on weekends I would try my hand at break dancing, bmx biking and extreme jumping. Extreme jumping or XJ as me and my friends would call it was my beginning into parkour. We would go around and jump over and off all sorts of things. It was just fun to see how far you could jump or how high of a roof you could jump off of. It definitely wasn't the smartest thing I did as a kid, because we really had no technique to landing and I'm sure I did some damage to my knees. After seeing an episode of “Ripley's Believe it or Not?” on a parkour group in France called the Yamakasi, I discovered people were doing the same thing as me but with more technique. I was on a mission to find out as much as I could about this French movement. How difficult is the training and what has been the biggest thrill of this sport? The training has never been difficult, because you are always playing. It's about seeing a railing or wall and playing with different ways to jump over or balance on. Through playing you discover new movements and in the process you are getting an amazing workout and staying in shape while freerunning has never been an issue for me. How many competitions have you competed in for Free Running? I have competed in only 3 competitions. After my second one, I injured my knee so I took a break from competing. During this break I became a judge for competitions. While the competitions have never been my main focus, I do enjoy them very much. Mainly, because they turn into a big jam session where you get to hang out with all of your YouTube heroes. Tell us how you and your Tempest teammates started and how many members are in the group? Tempest was started in Blacksburg, VA with a friend of mine. We formed Tempest to become a leading brand, much like a skateboarding company, in the freerunning/parkour scene. Our goal was to push the limits of what is physically possible and add some style to it. Tempest has since grown to 11 talented members. We are based out of Los Angeles, CA where I soon moved to after college. I hear Tempest is opening up a gym in the Los Angeles area, what can you tell us about that? YES! And we are very very excited! This has been a dream of mine since Tempest was first formed. It will be the first gym in California dedicated to the sport of freerunning and parkour. Much like an indoor skate park, the Tempest Freerunning Academy will be a spot that people from all ages and around the world can train and learn how to move. What is the gym going to offer? One of the biggest features our gym will have to offer is a 36ft long foam pit! Pits are key for learning new moves. With 36ft of foam you are sure to be well protected when trying a flip for the first time. Is there a website or online social network site fans can go to for updates? We are currently building the gym's website which should be available the 2nd week of February. Right now our Tempest Freerunning facebook page is where we post all of our updates and photos of the gym. It's looking amazing! I understand you have a television show coming up. Can you tell us about it? I do! The show is called JUMP CITY which will air on G4. You can check G4tv.com for show times. Will the show also be available online for the fans? If you don't have G4 full episodes will be available the day after on G4tv.com and iTunes. You also work as a stunt performer/double. Why and when did you decide on this as a career? As I mentioned before, I have always been interested in human movement and exploring what the human body can do. Watching Jackie Chan films and seeing all of the creative stunts he performed I knew that is what I wanted to become. I didn't know how, but I knew that's what I wanted to do for a living. Check out Paul's Stunt Reel - the video includes some of his Twilight stunts. What is the most dangerous stunt you have done for a film? The most dangerous stunt I have performed so far in my career is a fire burn for the movie Battleship. I was lit on fire and had to jump off the top of a sinking boat 30ft down into the water. Fire is serious stuff. I have had two of my close friends and teammates burnt while working with fire on set. Fire is definitely one of the gnarly-est stunts to do no matter how big. What has been your favorite stunt for film so far? To pick a favorite would be very tough. Doing stunts is so much fun, sometimes I forget that I'm working and getting paid to play. Freerunning stunts are definitely some of my favorite stunts to do in movies. Getting to double Adam Sandler and perform running gainer off a 12ft high box van definitely stands out as a highlight. I did the gainer 3 times and after each take Adam was so stoked and excited. He would have me come over and watch playback with him to show me how good it looked on film. I will always remember that. Have you had many injuries? How did you react when Robert Pattinson thanked you for his Twilight “Best Fight” MTV Movie Award? Can you share your experience in filming that scene? First let me say that Robert Pattinson is an amazingly humble person and a very hard worker. He works very hard and shows up to every rehearsal. The last battle scene in Twilight was very intense. Many of the stunts involved hard hits with wires and crashes which are so much fun to do! Without risking personal injury to Rob, I ended up doing the majority of stunts in the final battle which won the award. I was at a friend's house and I started getting text messages and phone calls from friends saying "I think Rob Pattinson just thanked you on national TV". I was really stoked and also a little confused by the "I think" part. Immediately I went online and found a video of Rob's speech where he gave me credit for the award but said the wrong last name. To his credit, someone had misspelled my name on a photo shoot for LA Magazine and my wrong last name was plastered all over the internet. None the less, I was so stoked that he would even think of me for a shot out. Actors rarely do that for stuntmen. Rob is a very considerate individual and true gentleman. When I saw him on the set of Remember Me he immediately apologized for the mishap. 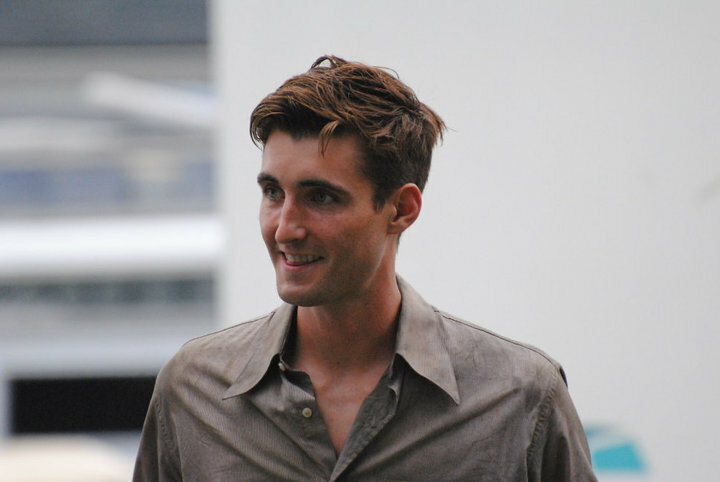 How has the experience of being Robert Pattinson’s stunt double varied from Twilight to Remember Me to Water for Elephants for you? It has been amazing to see Rob's fame grow and grow. His fan base is grown so much since the first Twilight and I am very happy for him. He also continues to stay the same humble guy each time I see him. 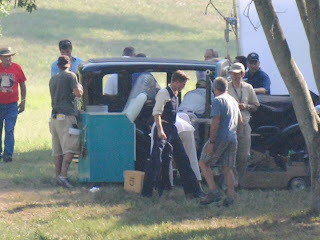 Can you share any of the experience of last summer’s filming of Water for Elephants? A terrific book turned into an even greater film with three outstanding actors. Reese, Rob and Christoph, worked together amazingly. Rob also did an amazing job learning and performing the fights and working with the animals. Rob has a scene feeding tigers, REAL tigers, that could eat you if they wanted. Rob played it cool and had no problems working with them at all. Probably better than I could. I'm lucky enough to be working again with Rob on Breaking Dawn which has even more action than any of the other Twilights. Can't say much other than it is going to be an amazing film! Paul I really appreciate you taking the time to answer some questions and letting the fans know a little about you and your experiences. To find out more about Paul Career check out Paul's IMDb page. Don't forget to catch the new show "Jump City" which features Tempest with Paul as it debuts next Tuesday the 15th at G4 at 8:00 EST. I love that you posted the full interview and not just the bits about Rob. ITA with his assessment of Rob...don't we all?? It was really interesting to read about the freerunning/parcour and his work as a stunt man. Loved the interview. Very interesting to learn about the skills he posses...and the perception he has of Rob is the same we as fans have as well. 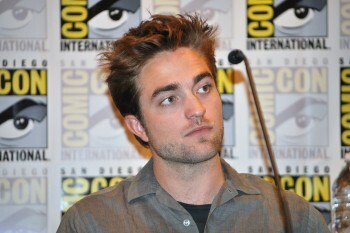 I absolutely love Rob and the more people speak how humble, sweet, and amazing he is, the more I adore him. Thank you so much for sharing this with us :). Yikes I did not realize I was still logged in from last night..oops.. Thanks for the positive comments! I am glad you all liked the interview. Paul has a interesting life and I am grateful he took the time for this. oh wow great interview cindy! @Chilbunch and RPN, it was a great interview, Thks. Enjoyed it immensely. I hope Paul has a long career as well as Rob. They both seem like very down to earth and decent people. I'm printing it out as we speak!!!! I love not reading the "same ole news" that we always read with just a different spin on it! This is actual new information, and made me have more appreciation for the stunt doubles! I also enjoyed reading about Parkour and Tempest freerunning. Paul sounds like a great guy and I wish him all the luck with his career, both on and off the screen! I really like this interview, specially because it helps to know the people behind s many great movies and appreciate even more all their hard work.